Equipped with its new and groundbreaking Self Lubrication Technology, this Deluxe Mouth Can Masturbator really has got what it takes to stand out in the over-crowded world of self-pleasuring devices. This S.L.T. Masturbator is always ready when you are. No lubrification is needed when you are up for it! Just open the cup and add a little water or even saliva on the welcoming inside and you are good to go! 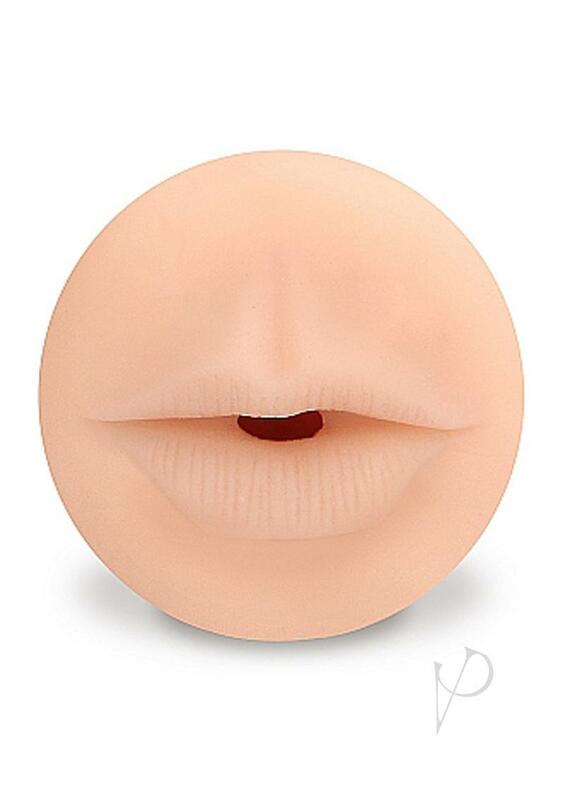 The realistic luscious lips give an inviting look to this wonder of design and the Self Lubrication Technology makes a quick and smooth penetration more than pleasurable! After use just wash, preferably with toy-cleaner, and she is ready for action again! The Self Lubrication Technology will last for about 30 times and after that the toy can be used by adding some lube for your ongoing pleasure!